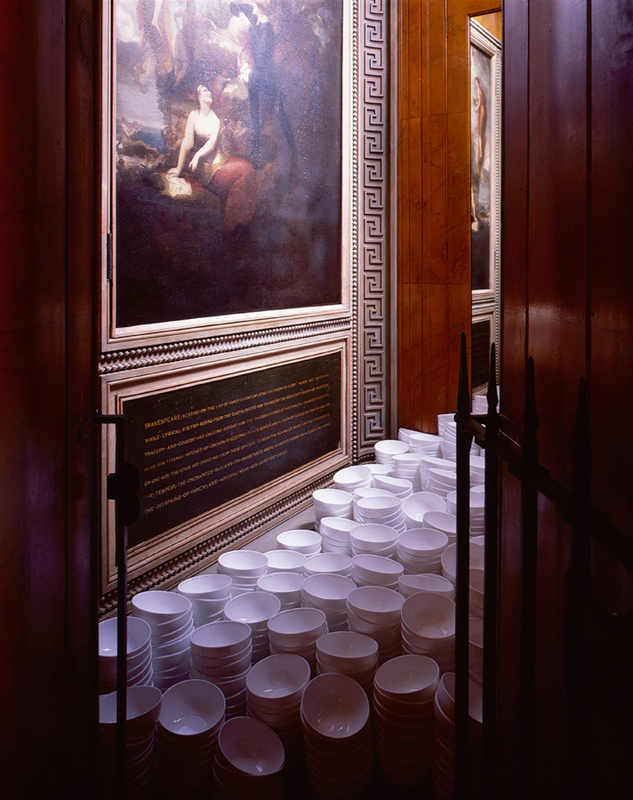 Everyman’s Dream was a work commissioned for the exhibition Marking the line: Ceramics and Architecture, inspired by Sir John Soane's house and collections, challenging where and how we view both ancient and modern works of art. The works were shown in the architect’s own home, No. 13 Lincoln’s Inn Fieldsas well as his historic Soane country houses, Port Eliot in Cornwall and Pitzhanger Manor, Ealing. 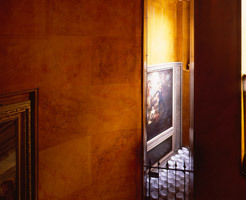 For Sir John Soane's Museum in London Twomey asked one thousand men to tell her about their hopes of personal legacy. 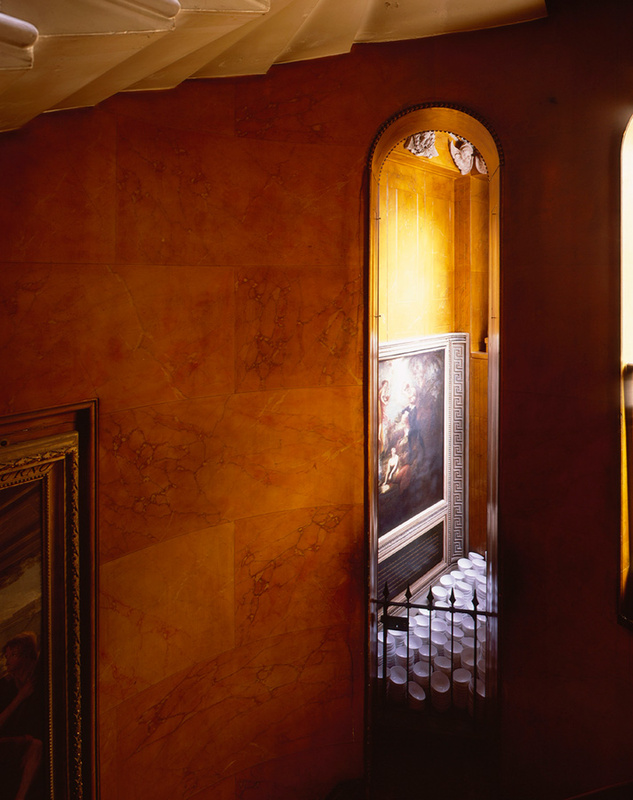 This is in reference to the legacy that Sir John Soane left in the form of his architectural contributions as well as his collection of artefacts at the Sir John Soane's Museum in London. 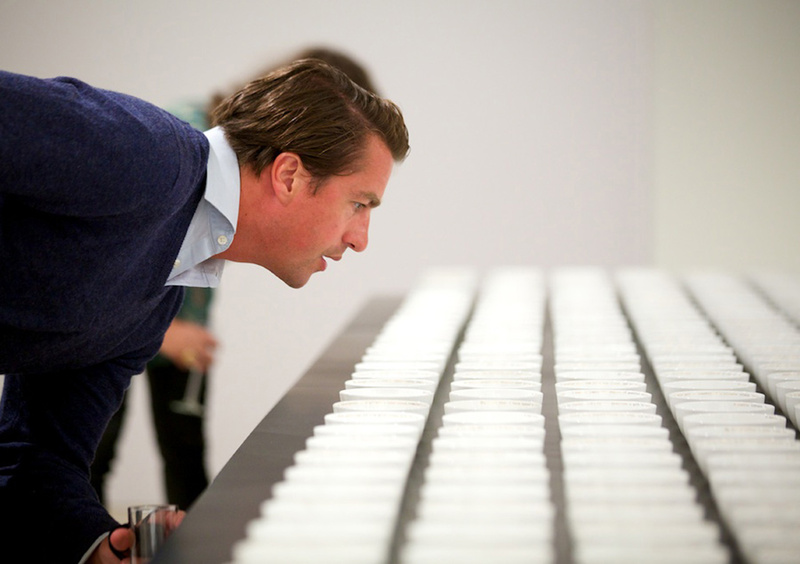 What would you like to be left as your legacy? The participants were drawn from across the globe, plumbers through to politicians, leaders of institutes and architects of our time. 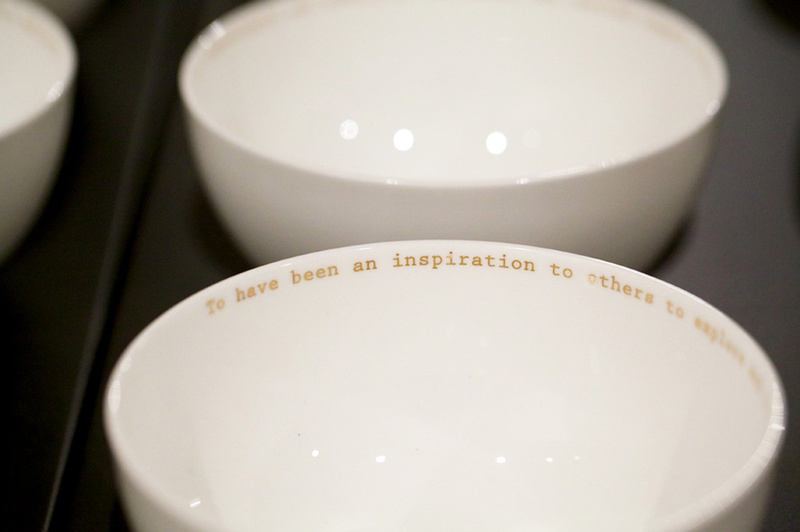 These thoughts have been fired onto bone china bowls in gold lettering. 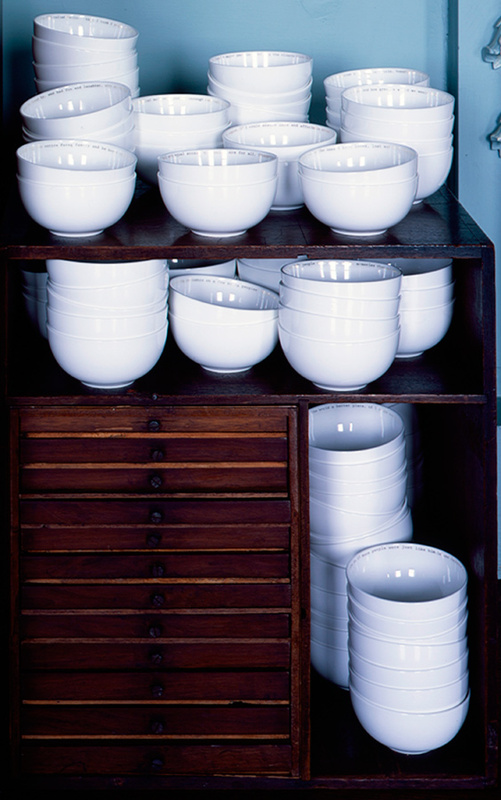 Each bowl holds the thoughts and hopes of one man, what he might dream of leaving behind when he dies. This asks questions of human endeavour and purpose. What I has been created in this domestic work is a vehicle for contemplation of someone else’s journey that might suggest contemplation of your own. 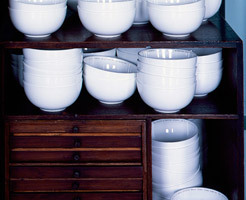 The bowls were shown in groups at each of the three Soane houses. An excess, a flow, a gathering of many thoughts. 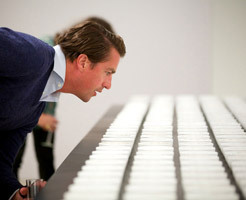 The concept of the work is that the view can be drawn from the mass to the individual contributions. 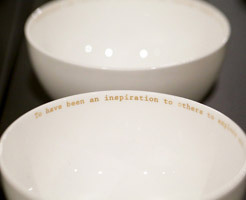 Everyman’s Dream will be installed as a ‘field’ of 1,000 bowls, each holding a unique quote that presents a personal ambition of future legacy left by an individual - collectively they create a world within a world. 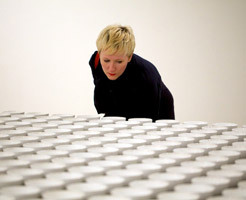 Within these works Twomey has maintained her concerns with materials, craft practice, and historic and social context. 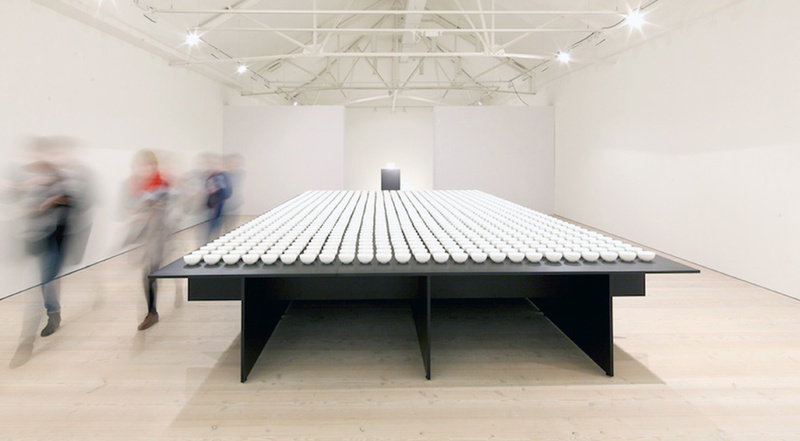 Twomey works with clay to create large-scale installations, sculptures and site-specific works, in which in which the viewer often participates and takes an active part in the conceptual meaning. 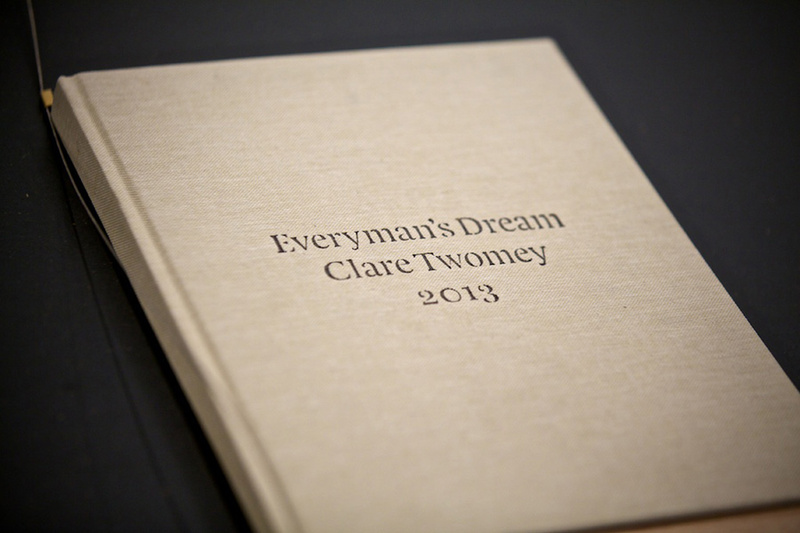 “I was delightfully surprised,” says Clare Twomey. We’re drinking coffee in Julian Stair’s airy open plan studio in South London, and I’ve just asked both artists about their experience of being brought together by the Crafts Council in a new joint exhibition. 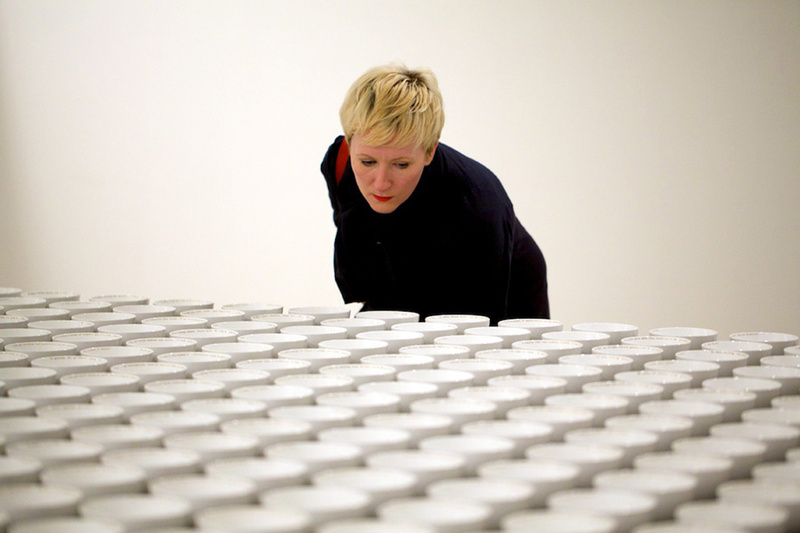 Legacy: Two works on hope and memory sees two extant pieces curated to commemorate the centenary of the start of the First World War. 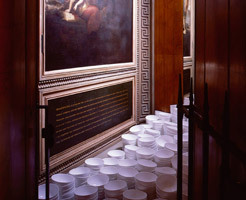 Twomey’s contribution to this joint exhibition is Everyman’s Dream, initially made as a response to Sir John Soane and his legacy, as part of the 2013 exhibition Marking the Line: Ceramics and Architecture. Using her signature approach of public engagement she asked a thousand men what their legacy for the future would be. By contrast Stair’s piece focuses very much on an individual. 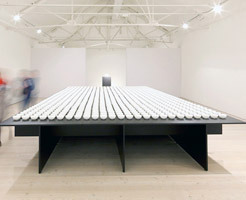 Titled Reliquary for a Common Man, it is a personal and moving memorial to his uncle-in-law, Leslie Cox, and he describes it as “the keystone” of his recent exhibition Quietus. Both projects share a simplicity of idea and an impressive audacity of approach. 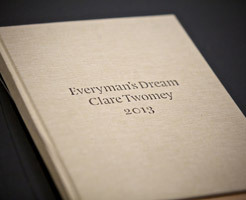 “It sounds like a very easy thing to ask a thousand men their legacy,” says Twomey, “but actually it's very significant for people to write down.” Twomey’s participants ranged “from plumbers to chauffeurs, architects to film stars to politicians. The youngest person was 15 and the oldest was 101.” Poignantly she adds that from those 1,000 collected voices, she knows of two men who have since died. And the union of these works is certainly much more than the sum of its parts. “It's awful to hear, how many people died in the First World War, but each of those was an individual life, and I think the show, the combination, illustrates that so well”. I find myself nodding in agreement.